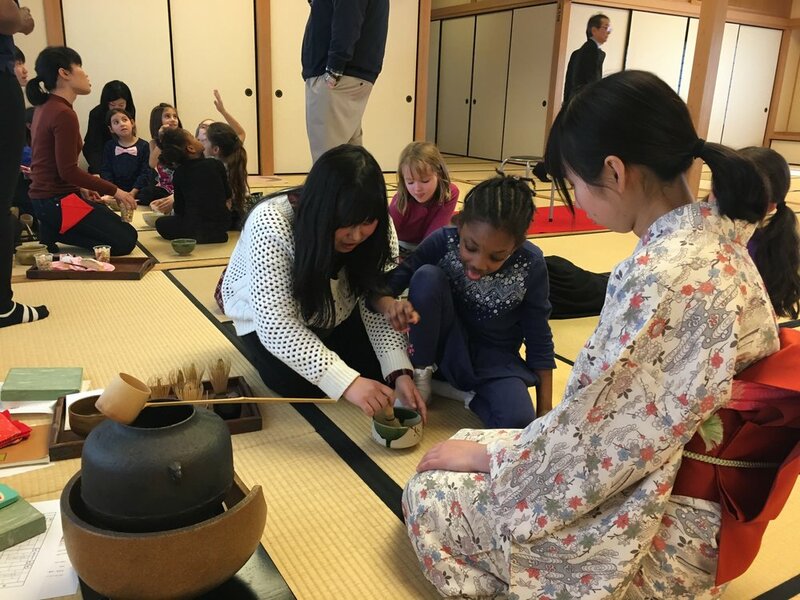 Students from the Department of International Tourism celebrated our annual Girl's Day festival by leading a hands-on workshop of Japanese tea ceremony with a group of local American children. For the first time, the event was held at the NIU campus tea ceremony house, the Jimyoudo. 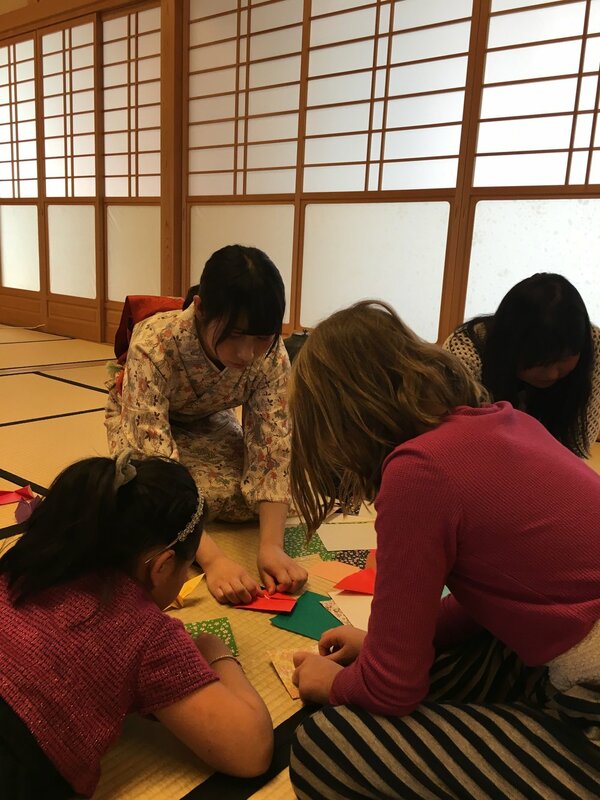 The children were able to enjoy making matcha using traditional bamboo equipment and ceramic bowls and eat traditional Girl's Day sweets such as Hina Ara-re (rice cake snacks) and Peach Castella cakes. Following this, everyone made origami and played traditional Japanese games. Happy Girl's Day!